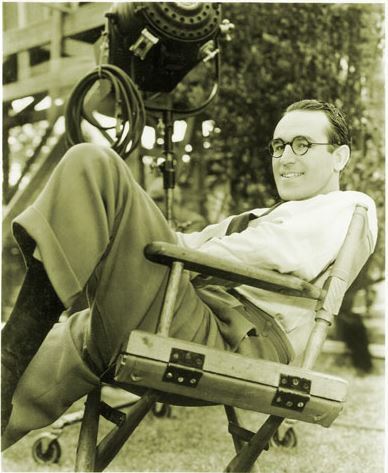 Harold Lloyd, actor, Oscar winner, Burchard, NE. Harold Clayton Lloyd was born on April 20, 1893 in Burchard, Nebraska, the second son of Elizabeth and James Darsie (â€œFoxyâ€) Lloyd.Â Â The family moved frequently, and Lloyd eventually landed in Los Angeles just as the burgeoning motion picture era was taking hold. He became one of the most successful silent-film stars of all time.Â Throughout his long career, Harold received many tributes. He was the fifth film star to immortalize his hand and footprints in the pavement outside Graumanâ€™s Chinese Theatre in Hollywood, and he has a star on the â€œWalk of Fameâ€ located at 1503 Vine Street. In 1953, Harold received an honorary Academy Award for being a â€œMaster Comedian and Good Citizen.â€Â In 1971, Lloyd died at age 77 from prostate cancer at his home in Beverly Hills, CA. After his death, his estate was run as a museum but the property was eventually auctioned off and subdivided. The house and six acres still remain. In 1984, Greenacres was placed on the National Register of Historic Places.Â Over twenty years after his death, his bespectacled face appeared on a U.S. postage stamp.